Cubist, constructivist, master of abstraction, surrealism, figuration — Paul Klee was brilliant but elusive, as a superb Tate show reveals. 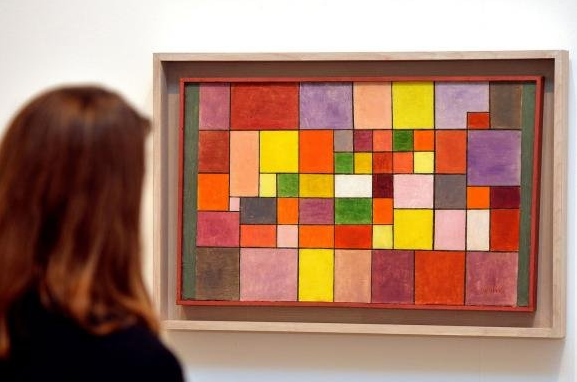 With its precisely paced and spectacularly complete survey of Paul Klee’s career, Tate Modern has given us the definitive Klee exhibition. Of that I am certain. What is in doubt is: everything else. Rarely have I come out of a show feeling less sure of what I have just witnessed. 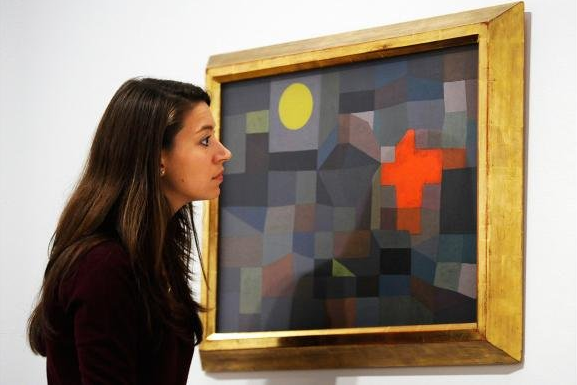 Klee (pronounced Clay, as in Cassius) is a celebrated figure in the annals of modern art. His dates, 1879-1940, place him firmly in the crucial epoch of the modernist experiment. 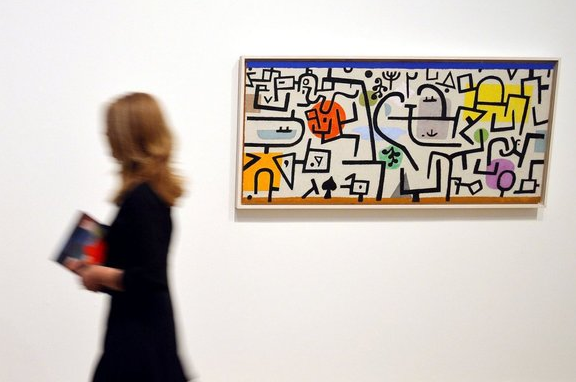 A couple of years older than Picasso, he was there when it counted and pops up in all the textbooks as a key contributor to art’s 20th-century progress. So we all know who he was. The problems commence when we try to understand what he did. 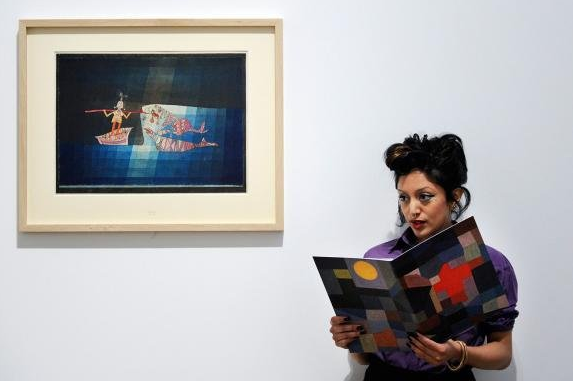 Was Klee a pioneer of abstraction? Yes. Was he a pioneer of figuration? Yes. Was he a sur-realist? Yes. Was he a constructivist? Yes. Was he Swiss? Yes. Was he German? Yes. Was he a confusing, multifarious, obsessive-compulsive, self-absorbed, anally retentive magpie of an artist who alighted here and there at will as he set about pleasing his own private gods of art? Yes. But maybe no, as well. The Tate begins its journey through his career with a useful timeline that positions everything in the right chronological order and serves as a kind of mood-setter. Obsessively precise about most aspects of his work, Klee was imprecise only about the most important aspect of all: what his art was about. From 1911 he kept a work diary, a carefully numbered list of all his pictures, in which he recorded their date, location and content. By scrupulously following this same diary all the way to his death in 1940, the Tate allows us to relive his progress, step by step, twitch by twitch, through myriad leaps and fidgets. The show’s reliance on Klee’s diary for its structure and chronology allows it also to weasel out of the supremely difficult task of deciding on any overall meaning and thrust to his career. It doesn’t help that there is no juvenilia on show, no unguarded early expression. By the time we begin looking at him, in 1915, Klee is already in his late thirties and fully the artist he will ever be. And what a twinkling, impish, elusive, magical artist that is. The earliest works here are abstract patterns of cubistic pixels, squared off and glowing. They’re tiny: not much larger than a cigarette packet. And since they’ve been painted with thin washes of watercolour, they give the impression of hardly being there at all, an effect exaggerated by the lofty Tate galleries, in which these diddy little picturings have been left to shiver. The white cubes of the Tate suit most types of modern art, but they never fully suit the intense, homemade, pint-sized modernism of Paul Klee. It’s a good job there are no windows here to leave open, because the lightest puff of wind would surely send these fragile haikus soaring. Although these first watercolours look abstract, they manage also to feel distinctly landscapy. Where most types of cubism in 1915 were interested in the forms of the land below the horizon — its underlying sculpture — Klee’s ethereal brand looks up, rather than down, and rebuilds the scene from blocks of intersecting light. From now until the end of the show, pretty much every picture here has a sense of epiphany about it, as if something marvellous had been recognised and recorded for the first time. One day (in expressionist mode), he draws a robotic skinhead with blue eyes whom he calls Ghost of a Genius. Another day (in stained-glass mode), he places some squares of yellow next to some squares of pink and calls them Palace “Red Violet/Yellow Green Diametrical Gradation”. One day (in surrealist mode), he paints a night sky swirling with rockets, stars, suns and moons. The next day (in constructivist mode), he paints a grid of glowing geometric squares. And when I say the next day, I mean the next day. To explain these relentless spurts and swivels, much is made here of a visit to Tunisia in 1914, where the great Islamic city of Kairouan made a particularly powerful impression on Klee. “Colour possesses me,” he wrote of the experience. “I don’t have to pursue it. It will possess me always.” Having been to Kairouan myself, and enjoyed the natural cubism of its blocky mud housing, I recognise its influence here, not just on his colours, but also on his recurring taste for beams of illuminating light. In Kairouan, particularly in the arcades of its historic mosque — the oldest in North Africa — the desert light pouring into the dark through the screens and the filigree achieves exactly the sense of sudden spotlighting and surprising illumination that is revealed here as a career-long feature of Klee’s art. In 1920, he became a teacher at the Bauhaus (an inspirational one, by all accounts) and surrounded by proper constructivists — Moholy-Nagy, Gropius, Breuer — firmed up his nervous, poetic, homemade blocks of light into something closer in appearance to the hard-edged rectangles expected of a pioneering modernist. The result is the most beautiful room in the show. Architecture, a brooding chequerboard of yellows and purples, is particularly haunting. The Bauhaus yanked Klee’s art fully into the 20th century, but enough remains of those shafts of ancient Islamic light to maintain the gorgeous note of epiphany that distinguishes him from his contemporaries. All this falls into the abstract and mystical side of his ledger. Working in glowing colours on tiny bits of paper, he has something of the medieval illuminator about him. Even when his work finally enlarges into more usual Tate sizes — which doesn’t fully happen until the show’s final room — it remains mysteriously pictographic, as if somewhere out there is a secret drawer containing the codes to his deeper meanings. Yet Klee had another side: a darker, scratchier, more political side. From around 1918, he began to allow figures and symbols into his imagery, and although it is never clear what these mysterious figures and symbols are figuring or symbolising, they seem often to have an air of accusation about them. Postwar Germany, you feel, is being satirised and prodded by an artist who has lost faith in his rulers. His fearless experiments with new ways of making art are just as unpredictable as his imagery. Over here he’s inventing his own way of making a monotype. Over there he’s working on old coal sacks. Down there he’s slapping encaustic onto sheets of plywood. With his home-made symbolism, his tiny sizes, his invented techniques, his illogical leaps, Klee would pass today for one of those outsider artists who are all the rage in international art. Never, not for a moment, does this show become predictable or settle down into a routine. Every picture here has a sense of event about it, as if its maker were starting again from scratch. The changes aren’t always dramatic, but they are always brave and determined. It takes a lot of small pictures to fill a show as big as this one. To keep up this level of invention for room after room after room is a giant achievement.